I believe my experience from being a Guide, followed by an officer on this server shows I have a excellent people skills. Although my building skills may be lacking towards structures, I have an eye for seeing if things are done right or wrong and completed to the brief required. I also think my knowledge of nature and enjoyment towards building terrain would favour this type of role where the jobs being lead are very likely to be based around this skill set. I have been back for 2 weeks now and have begun to identify some issues on the server around new player retention. When I was a staff member previously, I always did what was best for the server and I liked to place my efforts in those places to make the server a better place. 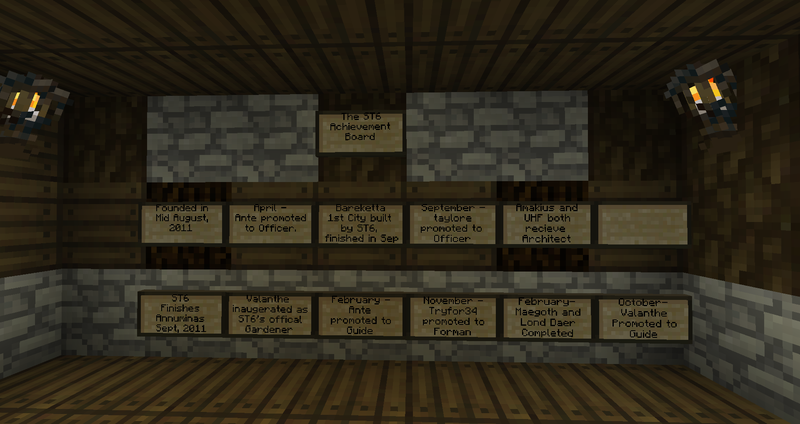 The reason I used to log in on a nightly basis was to hang out with people I had become good friends with, good friends through completing jobs on the server. Many of those people who helped me dig & punch our way through middle earth become staff members, even kings. I feel like we don't do enough of this now. We let what could be the next leader of the Moria project slip through our fingers due to inactivity within the foreman & even guide to some extent rank. I feel like I can contribute to changing that as a bare minimum in my timezone. but maybe even more so bringing motivation back and making people want to stay on the server. I knew this one was coming. look, truth be told I don't have any pictures to share with you. For the most part, I am a people person. But I believe should you ask Pants, Nic or Quanta how I have participated in their recent jobs, you could quickly find that I have a penchant for terrain work.